In an Utopian OT world, there would be a weekly 3-hour course that spanned the duration of an occupational therapy student’s career in their master or doctorate OT program. It would primarily consist of guest speakers from other disciplines or expert OTs. Many would require real-world assignments. The curriculum would be extraordinarily interdisciplinary, cutting edge, relevant, and innovative, with a focus on what OT Jim Hinojosa addressed as “hyperchange” in his 2007 Slagle lecture. He discusses how OT student curriculums need to evolve so they better address “how” to learn, rather than “what”, with emphasis on flexible thinking, problem-solving, creativity, efficiency, and a much more interdisciplinary focus. Students would be equipped with cognitive tools to navigate the future, and learn how to access the information they need when in a constantly changing environment. He notes today’s students have spent their entire lives in a hyperchange environment, and are best suited to the challenges we face ahead in this area. Here are some of my (idealistic) class ideas. Psychology of Illusions and Conmen: Skillfully using psychological techniques of distraction, expectation, and perspectives to approach challenging OT sessions (guest performance pickpocketer or similar – see bottom for details – not to be used in a manipulative way but rather helpful). I know my program (I graduated in 2009) addressed some of these, and I hope and imagine many current programs are addressing this via prerequisites or within the program itself. I’d love to hear what other OTs would like addressed, or what educators are already starting to address. I’m currently in a post-professional OTD program, so I’m thinking a lot about education! This 6-minute video amazed me – he was able to pickpocket the victim even though the victim KNEW Apollo was about to try, and when you watch it assuming you will be able to tell, you can’t. Shocking. Frank Abagnale was a conman made famous by the movie Catch Me if you Can, although I prefer his autobiography. http://en.wikipedia.org/wiki/Catch_Me_If_You_Can. He was able to successfully impersonate a pilot and doctor and other highly skilled professions, as well as start a new type of check forgery, by the time he was 19. He did a stint in jail, but ultimately ended up working for the FBI in their check fraud department, because he knew better than any non-criminal how to do it! He also used distractions, expectations, perspectives of other, and illusion, as his methods for success. As occupational therapists, we often work with those who feel broken. 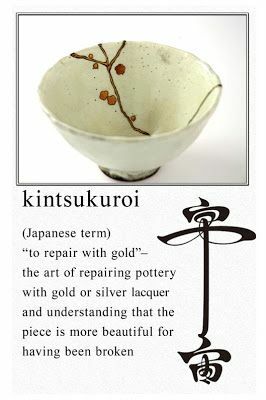 Sometimes I think applying or receiving the lacquer of repair – and seeing the beauty in it – helps us restore our souls. A list of things to help occupational therapy students prepare or get through their fieldworks/internships in preparation for becoming an independent practitioner. 1. BE PROACTIVE AND REACTIVE. If you have a patient with fragile X syndrome tomorrow, research it in advance. If you see a patient with fragile X syndrome and realize you would benefit from more knowledge or have questions, research it after. Maybe you can present your supervisor with some helpful resources you found, or be better prepared for next time. 2. ASK QUESTIONS, AND KNOW WHEN TO ASK THEM. Supervisors and practitioners of any field are hopefully happy to answer your questions. It’s a great sign that you are processing and synthesizing information. But when you are both with a patient, use your best judgment as to whether it’s an appropriate time to ask it. If in doubt, don’t ask it then. Write it down so you don’t forget or at least scribble a “trigger word” reminder down for later. Bombarding your supervisor with questions at the last second of the day while they hurriedly try to get their act together, isn’t appreciated either. Collaborate on finding a good time to ask the questions. 3. YOU WILL MAKE STUPID MISTAKES AND IT’S OKAY. I’m not talking about safety ones here, I’m talking about basics. Forgetting where you put your pen, or being unable to open a simple container, or bumping into something. You are nervous and on your best behavior and you are trying soooo hard to impress your supervisor. That means you will make the stupidest mistakes of all, and we get it. We were there too. We (likely) aren’t judging you harshly for mistakes that we know are from nervousness. 4. SAFETY COMES FIRST. Stupid mistakes with opening a container are fine, dropping a patient is not. If you don’t feel safe with a patient for any reason (whether it’s for a physical impairment or mental health/cognitive reason), you need to ask for guidance. You may hesitate because you don’t want your supervisor to realize you don’t know how to do something you probably should by now, or to cause them trouble. Guess what? It causes them FAR more trouble, and FAR less confidence in your abilities, if you make a mistake that hurts a patient because you were more concerned about yourself than the patient. 5. HAVE A “CHEAT SHEET”. Common abbreviations, alarm codes, locations, phone numbers, little tidbits of information, whatever. Jot it all down. Keep an index card on your clipboard or in your pocket. When you’re stressed, and you likely will be, you are going to have trouble remembering all the little things you usually don’t have issues with. It’s appreciated when you don’t have to ask your supervisor every 5 minutes for a code they’ve given you twice now. 6. BE EXTRA HELPFUL . Your supervisor will eventually (hopefully) be helped by your presence, but at first, you are an awful lot of extra work, no matter how amazing you are. See something that you can easily put back in place, or clean off, or make more efficient? See a little errand you could run? Offer to do it, or ask permission. You may want to do it without permission but just ensure it’s not something being done deliberately. For example, don’t put away a 100-piece jigsaw puzzle that is laid out, with 6 pieces still undone, unless you are positive it’s not being saved for some reason. Don’t try to organize a drawer of equipment unless you understand its purpose, usage patterns, and knew that someone jumbled it up yesterday but that it looked a specific way the day before. 7. FOCUS ON LEARNING EVEN DURING DOWNTIME AT WORK. If you have any downtime in your work day beyond your legitimate break (haha, good luck) or lunch, you should be actively learning. This is your chance. It’s so tempting to get on your phone a while and veg out during a gap. Maybe sometimes you need it for your mental health or to deal with something. But ideally should be researching, or cleaning, or formulating questions, or updating your cheat sheet, or something that shows determination and drive. Don’t be too zealous and don’t bug your supervisor too much if it’s clear they need a break. But at the very least, ask if there is anything they would like you to do or anything you can do to help, during the downtime. 8. EXPECT AND WELCOME CONSTRUCTIVE CRITICISM. You’re a student, you’re interning, you don’t know everything. You will make mistakes you don’t even know you’re making. Maybe you will talk too loud, or be “too” helpful. (One time I was trying to get my kids to advocate that they need a pencil by giving them a writing task, paper but no pencil, and then deliberately turning away to occupy myself. My shadow jumped up to get it before I could – a perfectly valid thing to do, but I had to give her feedback to wait until I asked since it was often a deliberate act on my part.) Maybe you won’t realize you are insulting a patient with your word choices, or that you keep forgetting to teach a certain skill. The whole point of your internship is to grow. You can’t grow if you aren’t aware, and “you don’t know what you don’t know.” It may sting, especially when you are trying your best and had such good intentions. Try to therefore hold the intent of the person giving you feedback, which is only about making you be even better than you already are. Don’t be defensive. Nod and give appreciative for the feedback. 9. YOUR PLACEMENT/THERAPISTS MAY NOT BE YOUR IDEAL, AND YOU CAN STILL LEARN A LOT. Maybe you really, really, really wanted to do pediatrics, but instead you got a hand specialty. Maybe you have a super stern or um, supervisor with a conflicting personality type, versus the warm/fuzzy one you craved. If there is a true moral/ethical/safety/major concern, speak up to your fieldwork advisor at the school for a potential placement change. If it’s a frustrating/annoying experience, get advice, but realize you are likely in it for the three months if it’s a Level II. You will still learn a lot, even if it’s a lot of what NOT to do, or to work in the face of adversity. A lot of employers ask their potential employees about a time they had a conflict with a coworker, and this will be great for that interview question! Lucky you, right???? 10. YOU WILL SOMETIMES FEEL LIKE AN IMPOSTER. It’s okay, we get it. We have all been there. Sometimes we’re still there, when we encounter new situations or change areas of practice. You may feel like you have no idea what you’re doing, but if you are doing it safely, and look confident, and your supervisor, colleagues, and patients are not giving you negative feedback, you’re probably just fine. You will think “gosh, they say I’m doing a good job, but if they REALLY knew how little I know, they wouldn’t say that. I’m just hiding it.” Happy to tell you that you’re probably doing better than you think. Give yourself some credit. The ten above are pretty universal for all fieldwork students, and the two below are more targeted towards people like me, who have had a long struggle with depression and/or anxiety, and found fieldwork even more challenging than normal, because of it. 12. USE YOUR RESOURCES. This may be your exercise/yoga class, a meditation session or church, a good friend, family, a hobby, the Internet/social media, mentors, textbooks, whatever. Something that gives you confidence in your knowledge, or lets you decompress/relax, or gives you support in whatever form you need. This can also include a psychologist and/or a psychiatrist. I would not have gotten through fieldwork, 100% for sure, without many of these resources, and most especially a psychologist and psychiatrist. Not something I should ideally mention to the world, and many of you people over the age of 35 or so will grimace that I admit it publicly (different perceptions of privacy), but IT IS SO IMPORTANT for people to realize how prevalent it is, and that only happens if people admit it. Yep, I struggled a lot in fieldwork, mostly due to the anxiety disorder. And yes, it was all worth it. And I’ve been a practitioner less time than many of my coworkers because of needing breaks, but I’m on my fourth year now of being a practitioner. And I love, love, love, love being an occupational therapist. And I would do the entire process all over in a heartbeat, even though it nearly killed me at times. IT WAS WORTH IT. If you have passion for the field, and you ARE WILLING TO ADMIT YOU NEED HELP in whatever form that takes (yoga, friends, counseling, any of it), you have a high probability of success. 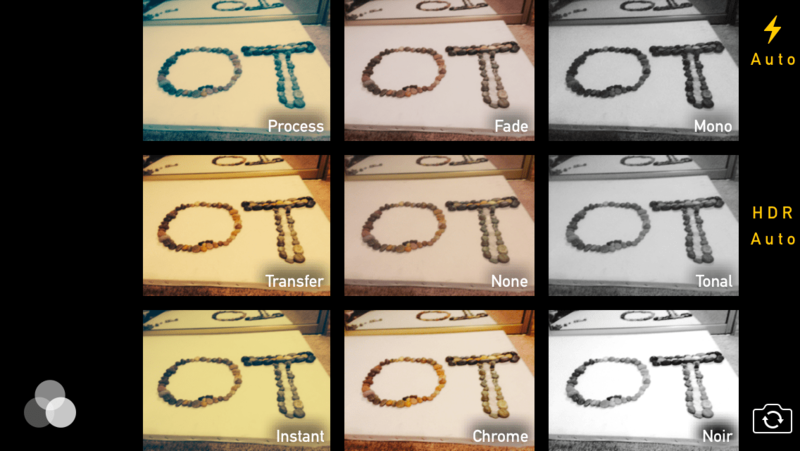 By the way, I’ve written a little about OT Student fears in the past, and some ways to impress your professors, and if you go to my archives, I wrote roughly a thousand posts in OT school during 2006 to 2009. Okay, I got this letter from a sweet OT student, sharing her fieldwork fears, who is clearly going to be JUST FINE. 🙂 So my answer is on top, her e-mail is on bottom. Regarding the fear of not being good enough yet, or that you’ll never be good enough: ASKING THAT QUESTION MEANS YOU ARE GOOD ENOUGH. 🙂 if you have a healthy respect (sometimes fear) of what you don’t know, you will always strive to learn more – with continuing education, reaching out to mentors, etc. It means you are far above most people/therapists and that you clearly show the compassion/concern/desire for growth that makes you an excellent clinician. It’s true, your skills aren’t perfect yet -and won’t be for a long time. But with each day you will learn new things and slowly you will see the growth you want. Having a good mentor – or multiple mentors – is huge. Reach out to people you admire in the field. Talk to your co-workers. Read books written by people with the diagnoses you treat. Read community forums for those people. Put yourself in their shoes. Practice with your cooperative friends. Observe people in the supermarket. I promise you, these skills that seem so elusive, will eventually come. So have faith in yourself. Believe in yourself. Know that as long as you ALWAYS know – even twenty years from now – that you don’t know everything and that’s okay. Know that we are in a profession that thrives on constant growth and development, and NONE of us, not even the AOTA president or your most revered OT mentor, know it all. There will be periods you feel great about your growth, periods where you are depressed about what you don’t know, and periods where you don’t care or think you are doing fine. It will all balance out. Just keep growing the way you are now and you will be fine. As I have been both excited and challenged by my experiences in fieldwork, I found that I would really love to ask you a few questions, if you wouldn’t mind. First, I am very afraid for my first patients. I have learned treatment planning pretty well in an inpatient rehab setting (as well as can be expected after three months), but I am still struggling with evaluations. I’m missing silly things like tone, or misjudging ROM or balance, things that I am super super annoyed with because I feel like I should know them! Ugh! I really want to believe that I’ll be a great OT, but that’s hard right now when I can’t imagine it, although I’ve been trying very hard to master skills, (I know I lack clinical reasoning). I’m scared that I won’t be able to pick up on all the details I need to to holistically treat my patients and give them the quality care that they deserve, It’s so frustrating! Any suggestions for how to improve, and/or what the first few years are like after graduation? I won’t take up any more of your time, but I am so glad I found your blog, wish you all the best, and hope to hear from you soon! 8. Worship the concept of being client-centered and holistic and occupation-based. Burn occupation candles on your altar and sacrifice small goats in its honor. 7. Realize that when in doubt, answer “Occupational Profile” (it’s a top-down process!) and you will probably be right. 6. Be a member of your state’s OT association as well as AOTA. Know the main leaders of these two associations, and go to the annual conferences. (NETWORK NETWORK! NETWORK!) Also get the enhanced student membership that allows you to get the magazine OT Practice. Read it and write in if you have anything to say. They might publish you, I swear. My blog link got in there! That means pigs are flying around in a frozen Hell, so you might as well try too. 5. Know the famed names Case-Smith (pediatric occupational therapy textbook), Willard & Spackman (OT Bible textbook), Trombley (Physical Dysfunction textbook), Carol Kranowitz (The Out-of-Sync Child), Eleanor Clarke Slagle Lecturer (huge honor, awarded speaker gets to speak at AOTA Conference each year), and Ora Ruggles (OT Pioneer). 4. Tell the following joke when discussing the patella or pisiform bone: What did the anatomy professor say to the closed passageway? OPEN SESAMOID. Okay this is actually a way to get your professor to groan and hate your guts (have a “visceral” reaction), but it’s totally my favorite joke and I am so proud of it so I had to put it somewhere. 3. Save absolutely EVERYTHING you do, including good e-mails you send/receive. You might have professional development evaluations (PDEs) at some point and it would be great if you could whip out a ton of evidence showing how amazing and professional you are, showing lots of initiative, actively networking, and exhibiting a strong OT identity. 2. Refresh your memory every month or so on major muscles, major frames of references, ROM, goniometry, and other things you spent a lot of time on. Most people (including me) forget everything they learn. Try to retain your knowledge. This will also impress fieldwork supervisors, on both Level I and Level II fieldworks. 1. Don’t whine about having so many group projects, and don’t be the Type-A project manager every time. Show you are a versatile team player who can lead or follow, depending on what is needed. And remember that a good leader makes leaders, not followers. -1. Don’t do the steps above all at once! Otherwise, everyone, including the professors, will think you are a know-it-all-genius-freak. That’s not good. I sincerely hope that after reading this list you all feel ready to go out and impress your new occupational therapy professors!